First time see an actual Robber fly. Jumping around all the time, was not easy to take. Everytime you post, one is more amazing than the next. Incredible. Very nice! 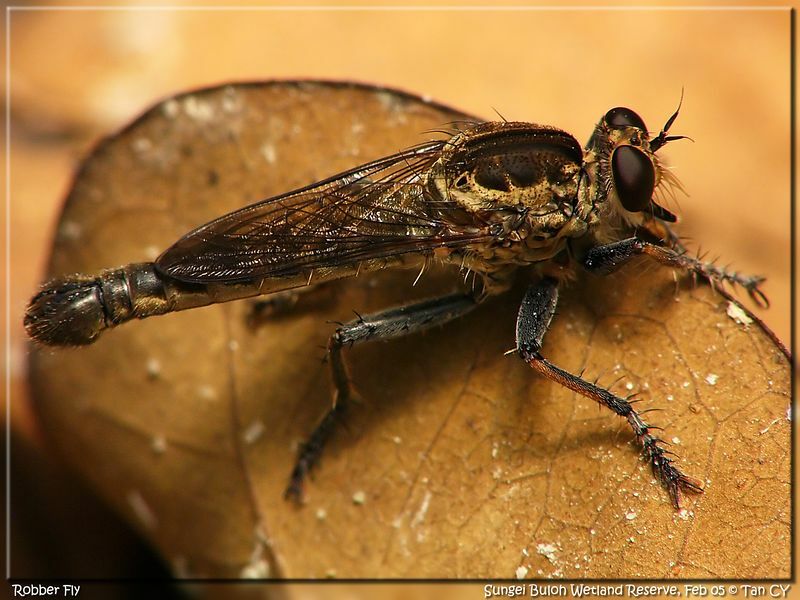 Why the name Robber Fly? I'm with Nick here. Amazing tchuanye!! Cheers......thekman. Robber flies are not to be trifled with. Capable of immobilizing bees, wasps and other insects larger than itself, robberflies catch their prey in mid air. 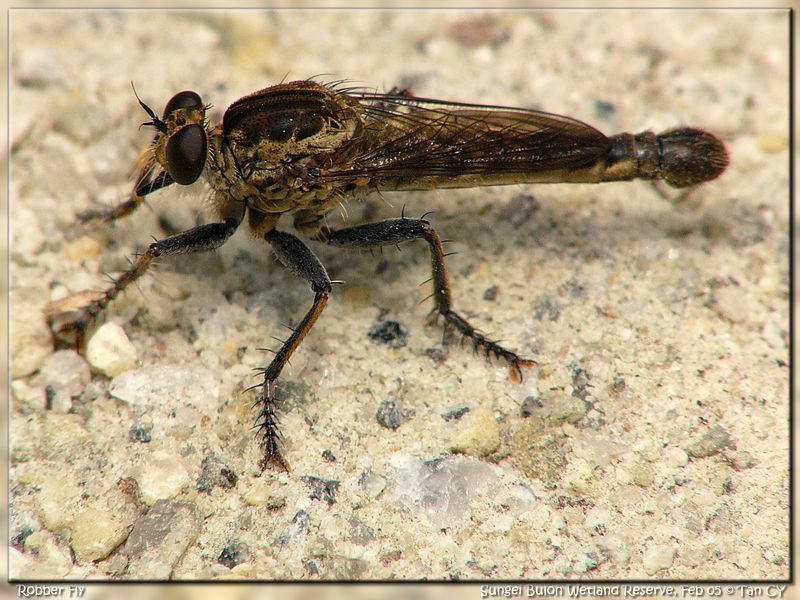 As with other aerial predators, robberflies have excellent vision, characterized by two conspicuous compound eyes. The mouthparts of this family have been modified to a stabbing proboscis. Flies were revered by the ancient Egyptians who awarded a military honor in the form of a golden fly pendant. tchua....I love these shots of the robber fly..yes indeed....great work!!!!!! !